(RxWiki News) Pregnancy is a very special time in a woman's life. However, because some medications are safe during pregnancy and others are not, it can also be a confusing time. If you are pregnant and need to take medications, you are not alone. According to the US Food and Drug Administration (FDA), 50 percent of women report taking at least one medication during pregnancy. Some women have to take medications for diabetes, thyroid issues, high blood pressure, or pregnancy-related issues like morning sickness or constipation. Because not all medications are safe to take during pregnancy, the best thing you can do if you are not sure is ask questions. 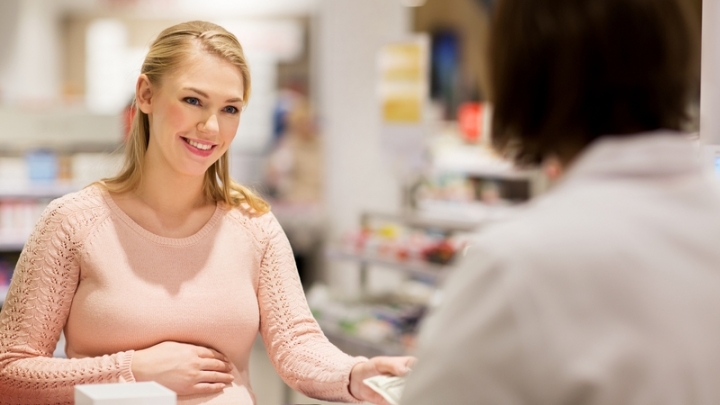 Ask your pharmacist or obstetrician all the questions you have before you take any medications during pregnancy. Even supplements labeled as herbal and natural may not be safe to take while pregnant, so ask before you start taking them. Will I need to change my medicines if I want to get pregnant? How might this medicine affect my baby? Will I need to take more or less of my medicine during pregnancy? Ask your obstetrician which prenatal vitamins are the best option for you, as well as how much folic acid you need. To find out how much folic acid is necessary to prevent birth defects, check out "Folic Acid and Pregnancy." Always read the label on the medication. The warnings will likely include something like, "If you are pregnant, ask a doctor before use." If you are not sure, it is best to always ask your doctor. And even if you read online that a certain medication is safe, it is always best to confirm with your doctor. Not all medications are safe to take during pregnancy. For example, nonsteroidal anti-inflammatory drugs (NSAIDs), such as aspirin, naproxen (Aleve) and ibuprofen (Motrin, Advil), are not recommended during pregnancy. For more information on safe over-the-counter medication options to take during pregnancy, be sure to read "Which Medications Are Safe During Pregnancy?" Speak with your pharmacist or obstetrician before taking any new medication, herbal supplement or vitamin. What Should You Take When Pregnant? Pregnant? What Meds Can You Take?